Spring has sprung into action! What will this mean for your commercial landscape in Christchurch? Spring is a special time of the year the trees start to show new growth, buds and bulbs start blooming and the temperature starts to increase (Yay!!!!). When it comes to commercial landscaping spring is the perfect time to get your Canterbury commercial landscape ready for the warm months ahead! Its also a great time to consider commercial landscape design projects. Evergreen Landscapes are here to help get your landscape into tip top shape. Here are some tips to getting your property looking great so you can create that all important first impression, because as we know you only get the one shot at it. As the heading suggests, spring is a great time for a comprehensive clean up of your commercial property. You should look to remove leaves from gardens and walkways, take out weeds from gardens and look for plants that may have died over winter or are looking sad, and replace them with new ones. Your commercial property may have different types of hardscapes, for example water features, seats, walls, paving, concrete or timber surfaces. Depending on the hardscape you should look to give it a thorough clean and scrape back in order to keep them looking their best. It’s also a good time to check your outdoor lighting to see if everything still works and if any lightbulbs needs replacing. New season plants and flowers, whether in containers, planters, or beds should be refreshed or changed. New trees and shrubs can revitalise your landscape and it also lets you take advantage of the buds that bloom in spring and bring different colours to your space. If you’re in need of some inspiration for what plants to choose, get in touch with our qualified landscape architects. Furthermore, Evergreen nursery is here to help in supplying trees and shrubs. Mention this post and receive 25% off your next purchase! Spring is the best time of the year to fertilise your gardens or lawn on your commercial site. New plants especially need fertiliser as it promotes stronger growth and can give established plants and lawn the boost it needs to thrive come spring. With your trees and shrubs coming out of winter hibernation into a warmer climate, spring presents itself as a time to tidy them up. Take some time to trim and prune the damaged or dead foliage from the winter and neaten up the canopies on trees ready for that spring growth. Try prune trees and shrubs so they will be more visually appealing when they start to blossom and bloom. With summer just around the corner now and the need for constant watering especially in the Canterbury summer, now is a good time to make sure all your pipes, nozzles, sprinkler heads and controls are working properly. Inspecting them now gives you the peace of mind in knowing your lawn won’t brown off or plants die due to lack of water. Contact one of Evergreen landscapes irrigation expects if you need someone to come and check your commercial landscape. Are you thinking of redoing your landscape or adding some new features, changing up the planting or installing new hardscapes? Spring is great time of year to consider this for your commercial Landscape. It allows enough time for the work to be finished before the holiday period and enough time to enjoy the new landscape come summer. 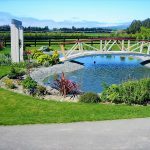 Here at Evergreen we partner with some of New Zealand’s leading engineers, contractors, landscape architects and urban planners to create extraordinary landscapes. Our Landscaping teams have experience in many areas of commercial landscape options including city offices, retail complexes, sub-divisions, hospitals, retirement villages, schools, restaurants, reserves/parks. Let us help turn your commercial landscape into an attractive and appealing first impression for your key stakeholders and customers. 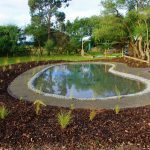 If you are looking for commercial landscaping and design in Christchurch, Canterbury, contact Evergreen today.